After the launches of Oppo R17 Pro and R15 Pro smartphones, the Oppo is in next phase on launching the mobile phones. Oppo R19 and Oppo F11 Pro are the phones that expected to launch next and these devices may look similar except their specs and prices. The budget phone like Oppo A7 has launched in a different country as well. The mid-range phone's like RX17 has launched in European country recently. So, their launches and popular are around the globe. Oppo is also expected to launch Oppo Find Z smartphone. In this row, we can expect the subject phone launches any time in March 2019. 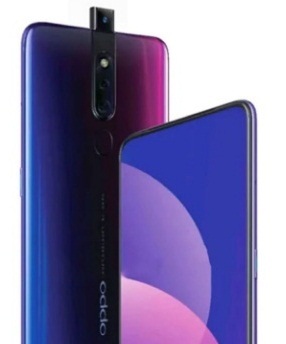 Oppo R19 is expected to launch with Pop-up camera (front), and 48 megapixel rear camera as well. If you are interested to know Oppo R19 cell phone's launch date, release date, first impression, features, specifications, unboxing, comparison, review and hands-on etc. then you could find some of them soon over here. You may have a question like when Oppo R19 will be launched and what will be the price of Oppo R19 phone etc. so, stay tuned and we will update about them soon. Time being, you can check Oppo F11 Pro cell phone's detail that also come with similar pattern. And, if you are further interested to know entire Oppo phone's detail then please do visit at Oppo section for almost all phones' detail. Oppo R19 price: Expected INR 26990. We will update you where to buy Oppo R19 phone once official announcement made.